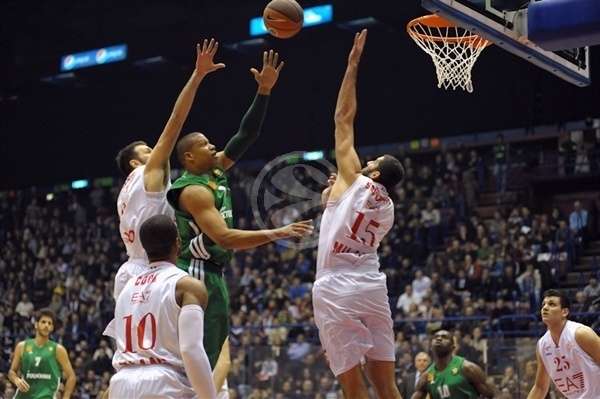 Panathinaikos Athens blew away EA7 Emporio Armani Milan on the road 57-78 in the teams’ Top 16 Group G opening game. With solid execution on both ends of the court, the visitors never let Milan get a foothold in the game. 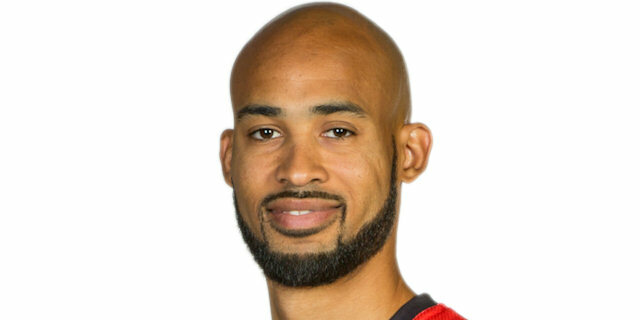 David Logan led all scorers with 12 points on 6-of-6 shooting from two-point range, all of them coming in the second half, while Romain Sato had 11 and Mike Batiste added 10 for the winners. Four other players had at least 5 points. 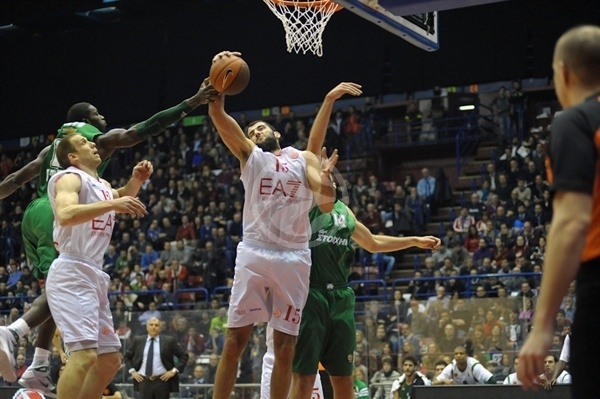 Antonis Fotsis knocked down 10 points for Milan against his former team. 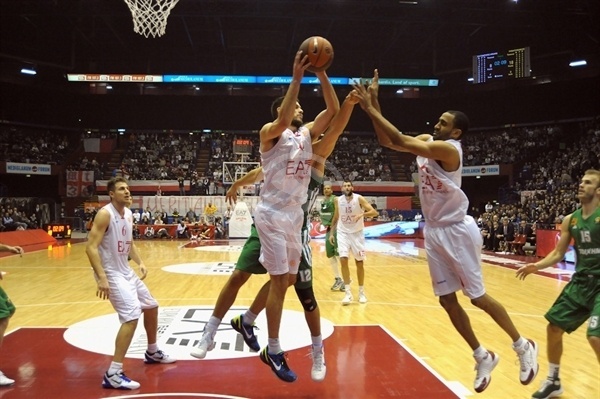 Alessandro Gentile added 7 points, but also committed 5 of Milan’s 24 turnovers as Panathinaikos smothered Milan defensively. 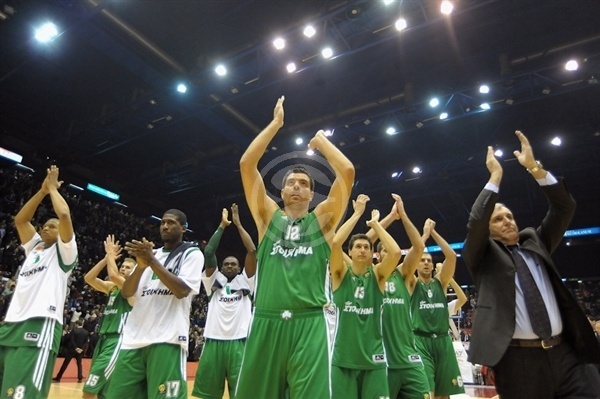 Straight out of the gate Dimitris Diamantidis nailed a three for Panathinaikos, which added free throws to go up 0-5. Omar Cook put Milan on the board with a triple, but Steven Smith and Stratos Perperoglou lifted the lead to 3-10. Gentile added a triple of his own, cutting the difference to 6-10. 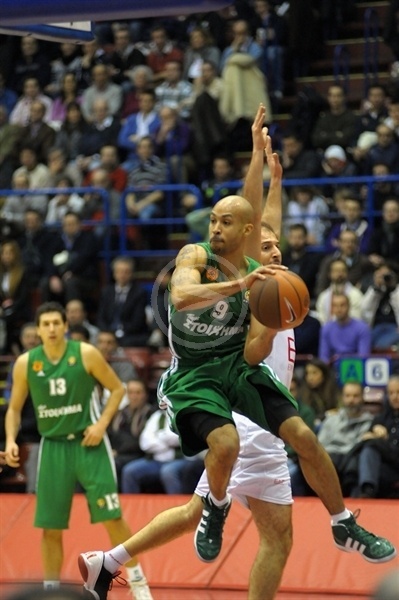 Then Panathinaikos shifted its scoring down low as Batiste and Smith banged in layups, opening a 6-14 lead. After Stefano Mancinelli knocked scored in the paint, the visitors took off on an 8-point spurt, led by Sato and Batiste, to go up 8-22. Ioannis Bourousis ended Milano’s dry spell with a layup, but Ian Vougioukas answered for the visitors to end the quarter at 10-24. Gentile buried a fall-away jumper to open the second quarter, then Jacopo Giachetti floated in a layup on the baseline to cut the lead to 14-24. But then Kostas Kaimakoglou and Sato scored successive layups, offsetting Milano’s good start and boosting the lead back to 16-28. Mason Rocca started to hammer the offensive glass for Milano, getting two on a put back, but Sato answered wtih a laser from downtown, then Sarunas Jasikevicius added a layup as Panathinaikos reasserted its control 18-33. Kaimakoglou and Sato chipped in points in the paint to widen the lead to 18-37. But the hosts showed no signs of quitting, as Drew Nicholas hit 5 consecutive points, including a three, setting the score at 23-37. The next 6 points of the quarter belonged to Panathinaikos, however, which ended the half with its biggest lead of the game 23-43. After two minutes, Mancinelli hit one of two from the foul line to register the first points of the quarter, nibbling away at the lead 24-43. Smith drilled a two-pointer, then Perperoglou buried a triple as the visitors piled on the points, 24-48. Fotsis tipped in a shot on the offensive glass and Gentile dunked for Milan, but David Logan hit a two-pointer to set the score at 28-50. Despite the lead, the visitors did not relent, as Vougioukas, Logan and Nick Calathes each added two-pointers, inflating the difference to 30-56. After Logan scored again the paint, Cook drove to the basket for two to end the third quarter with the scoreboard at 33-58. Jasikevicius got things going for the visitors with two consecutive two-pointers, pumping the lead to 33-62. Rocca layed it in then Bourousis and Fotsis scored on two consecutive fast-break plays, slicing the lead to 39-62. Logan and Fotsis exchanged baskets in the paint, then Logan and Kostas Tsartsaris chipped in 5 as the score moved to 43-71. 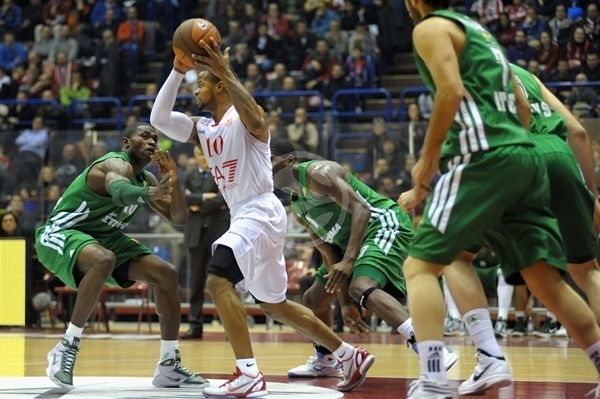 In the final four minutes, Milan outscored the visitors 14-4 to cut the deficit but it was too little too late as Panathinaikos crushed Milan 57-74. "We had a hard impact against the reigning champs. We suffered a lot their defense on the perimeter. When you look at them play, you understand they are playing together for a long time, and this made our game more difficult. We are also in trouble pshycolcogically. We played a good defense, despite we allowed a lot of offensive rebounds, but they were better than us." "I think the difference in the game has been made by our defense. 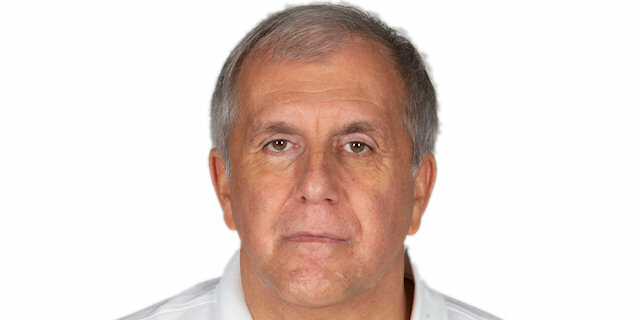 We undesrtood very soon who were the most important players of EA7 and we adatped to them. We played a bad offense in the first half against their zone defense, but then we did better, so we played a good defense for all the forty minutes but not in te offensive side. 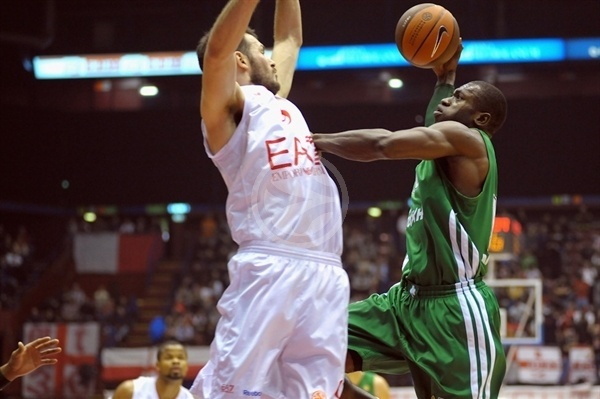 I did not expect an easy win, because Milano has great players and an excellent coach." "It feels good. It’s always good to get a win on the road. They’re a good team, but we just came out focused and played hard. Whenever coach gave me a chance, I was going to be ready. We have a good defensive team. If we stick to our rules and play together, we’re a tough team to score on."